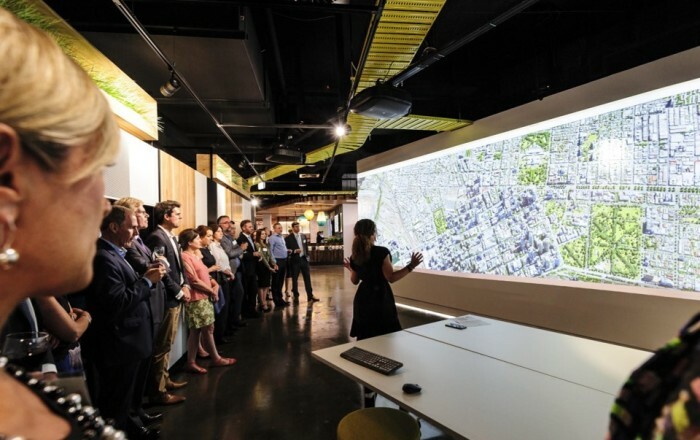 Foy's Arcade is ISPT's immersive customer experience centre in the heart of Melbourne's CBD, created in partnership with Collective Social Intelligence, ISPT are one of Australia’s largest superannuation funds, investing in commercial, retail and industrial commercial real estate. Foy's Arcade is a one of a kind environment where people, process and technology come together to create a WOW factor in a truly unique space. The Arcade can be digitally reconfigured with ease to provide immersive spaces, collaboration spaces and themed for specific users and events. One of the main aims of the space is to easily reconfigure the space and particularly the projection spaces. Powered by ImmersaView's Warp software, 16 projectors were able to be split into 6 separate blended areas to provide a fully immersive experience. 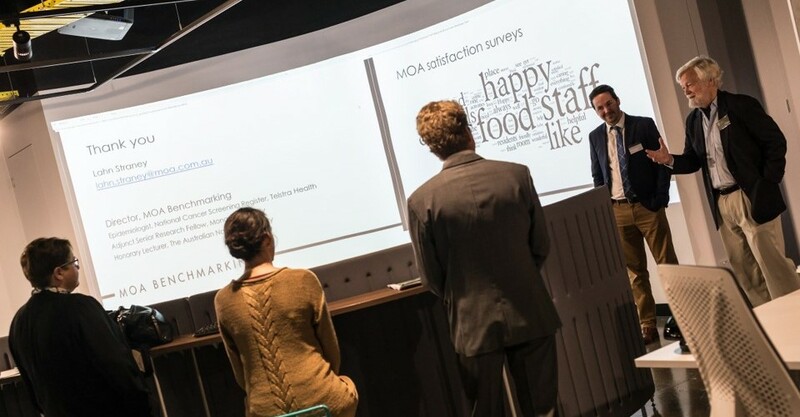 ImmersaView assisted with the optical design and layout of projectors, as well as providing ImmersaView Warp to achieve a number of seamless displays. 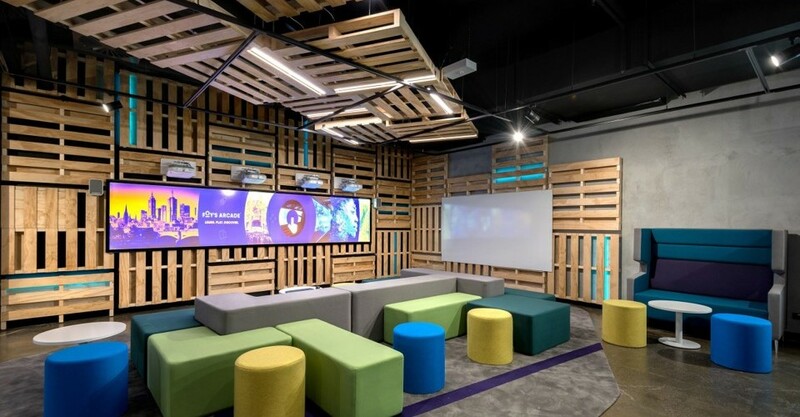 Displays included multi-projector interactive touch displays, projection mapping, multi-projector gesture displays, large scale boardroom displays and curved screens for collaboration. 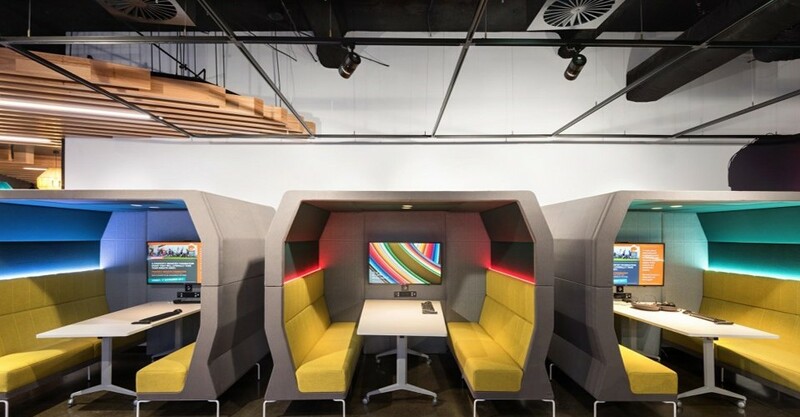 "When we partnered with ISPT we knew that this would become an incredibly popular collaboration space. 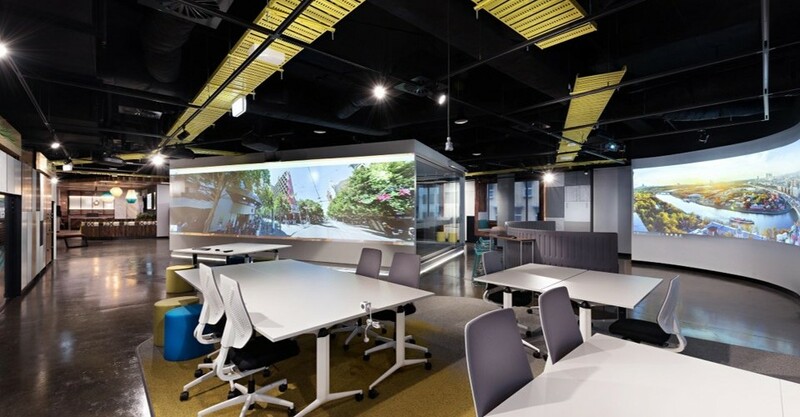 We’ve proven beyond our wildest optimism that you get real results when you integrate technology into the social elements of a workspace and Immersaview’s technology was a key to achieving that success. No one else has anything that is so stable in an environment that gets used 8 to 16 hours a day, everyday." Foy’s Arcade continues the proud tradition since 1883 but transforms the event venue as a 21st century icon of collaboration and innovation.